I just love working with Krylon. Their Mystery box Challenges are always so fun!! They send me some items and spray paint and ask me to create something seasonally for my home. It really expands my creativity!! After thinking about it for a while – I wanted to touch on the OWL theme. Perfect for Fall!! So I created this free printable. Want to print these to fit in a 5×7 frame? Right-click this link or one of the images below and choose ‘save as’ to download the printable PDF. You can print either the version with the owl silhouette or the one without! Just right-click this link or the image below and choose “save as” to download the VERY LARGE JPG file for large-size photo poster printing. Be sure to check out all of Krylon’s awesome products! This post was sponsored by Krylon. However, the project and the free printables are all mine. See my disclosures. This is adorable!! 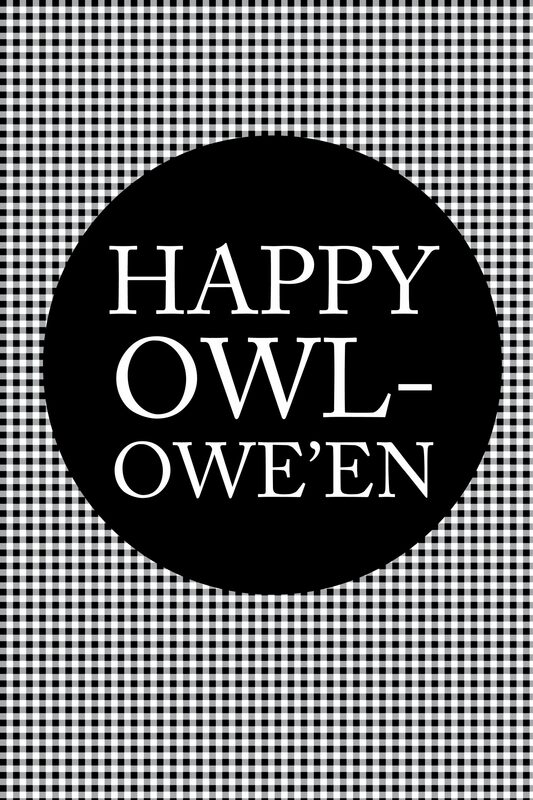 I love the owl theme for Halloween… pinning and printing for this year’s décor – thanks for sharing it! Love it! Just printed the Owl print and will be “fixing” my mantel when the sun rises. Thanks for these. I love all that is black and white right now. Makes decorating so easy and fun to pop with accent colors that you choose. I appreciate that you make these available to everyone and not just “fans” of social media as not everyone participates. Yay! Owls my favorites! I bought a lot of owl stuff lately and I might have to print this to go up for October! Creative! Love what you made with the Mystery Box! Pinned! Hi the white spray paint you used is Gloss or other type? I want to paint some items for display as you do and was thinking what is the best type. I usually see matte formulas, gloss and satin or semigloss. Thanks!!!! the white owl display is so cute and classy all at the same time. LOVE. KpMcD recently posted…Winter is Coming. THIS IS SO ME, I have so many owls around the house!! I love what you did with the Krylon box!! How sweet is this?! And what a way to become more creative! I love the owls for fall. They are so cute! That is absolutely adorable and it sounds exactly like my daughter. Lol! Everything is over emphasized with a four year old.